The plot included the installation of tiny “keylogging” devices that picked up every keystroke. 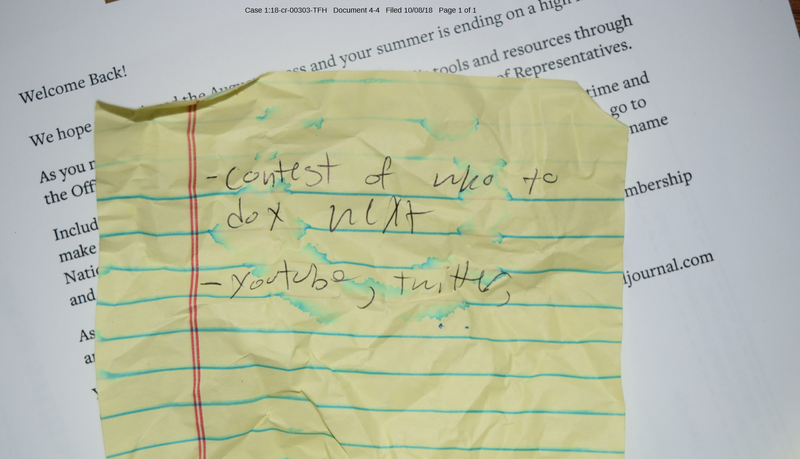 Between July and October 2018, former IT aide Jackson Cosko worked with an unnamed accomplice, a then-current Hassan employee, who repeatedly lent him a key that he used to enter the office at night and who allegedly tried to destroy evidence for him. Cosko accepted responsibility for the events revealed by federal prosecutors in court Friday. “The defendant gained access to Senator Hassan’s Office by unlawfully obtaining keys from a staffer who was (at the time) still employed in the Office” and using it to repeatedly burglarize the office. He placed small, unobtrusive devices on at least six Senate computers that captured every keystroke, including usernames and passwords which he would then use to access further documents. Cosko pleaded guilty to five felonies including witness intimidation and obstruction of justice. The maximum sentence was 55 years in prison, but guidelines call for three to four years. He agreed not to seek a term shorter than two years as part of the plea agreement. He could also face a fine of up to $200,000 and possible restitution to Hassan’s office. Prosecutors declined to say whether the accomplice will be prosecuted, and Hassan’s office did not return a request for comment. The defendant gained access to Senator Hassan’s Office by unlawfully obtaining keys from a staffer who was (at the time) still employed in the Office (Subject A). The defendant then used those keys to enter the Senator’s office alone at night…. The defendant surreptitiously installed ‘keylogger’ devices on at least six computers in Senator Hassan’s Office…. designed to record the keystrokes that Senate stafers typed on their Senate-owned computers – including the keystrokes that comprised usernames and passwords. The government confiscated two gmail accounts, keyloggers and two twitter accounts: @TrundleDaGreat and @CongressOfShit. Cosko, a supporter of Democratic presidential candidate Bernie Sanders, was born to a California family with ties to Democratic California Sen. Dianne Feinstein. Republicans suggested the California Democrat leaked a letter soon before Kavanaugh’s confirmation hearing that alleged the Supreme Court justice sexually assaulted Christine Blasey Ford. The suspect’s father, Greg Cosko, is the CEO of Hathaway Dinwiddie, a construction company that built a university building named after Feinstein’s husband. He serves on the board of San Francisco State University alongside Willie Brown, the California politician who said he helped make the career of Democratic California Sen. Kamala Harris, with an illicit affair.